Eating may very well be the best part of traveling. It’s hard to think of anything else that, if eliminated, would be as detrimental to the overall travel experience. In your everyday life you’ll eat unremarkable meals that carry little importance outside of basic sustenance — but on vacation, you expect each meal to be a highlight and an opportunity to create lasting memories. 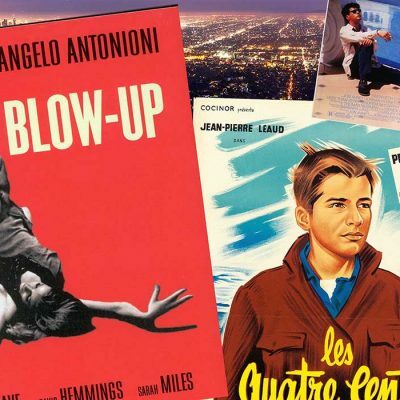 It’s no surprise, then, that this sacred bond has led to a rise in hotels that combine your culinary and accommodation interests into one adventurous, Instagram-ready package. 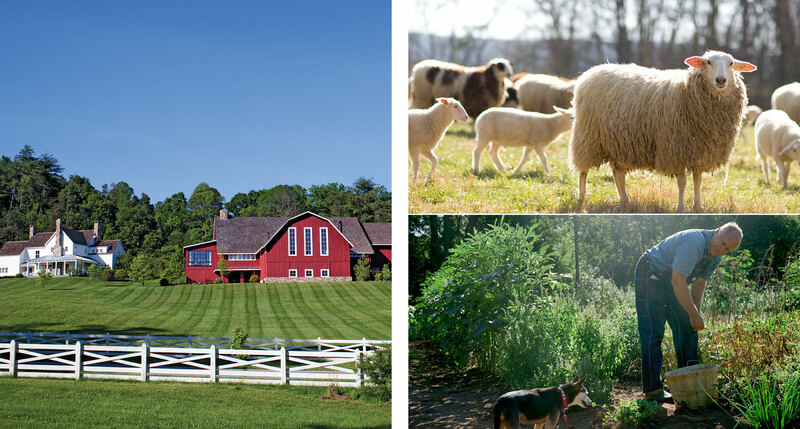 We’re not talking about having a celebrity chef or a menu boasting of so-called organic ingredients, we’re talking about hotels that have the whole darn farm. 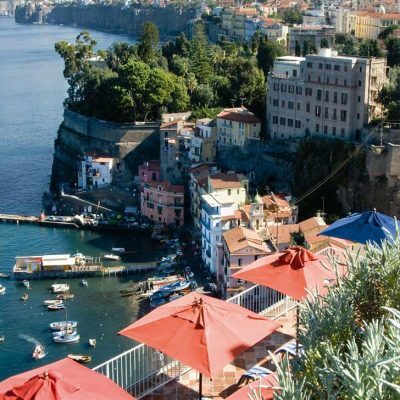 The idea has been around for a while, most notably with the agriturismos of Italy, but swelling demand for farm-to-table dining has caused the concept to quickly expand around the world. More than ever, travelers want food to be more than just a companion on their journey; they want to immerse themselves completely in the process that puts it on their plate — a specialty of the hotels below. We start in Europe, where the movement began. 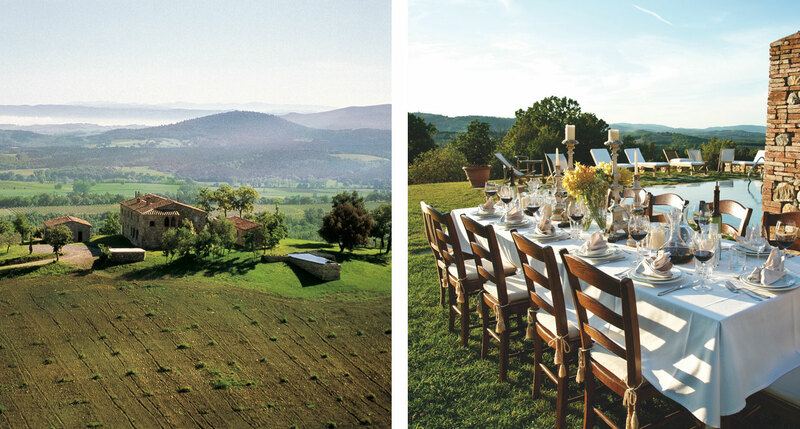 Specifically, we’re starting in Italy, where the agriturismo concept sprouted up throughout the latter half of the 20th century as the owners of working farms augmented their income by adding guest accommodations alongside their fields, gardens, groves, and vineyards. 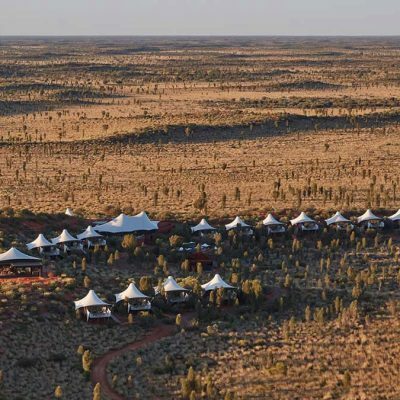 It didn’t take long for the rest of the continent to sniff out the potential for a novel and inspiring brand of hotel adventure. 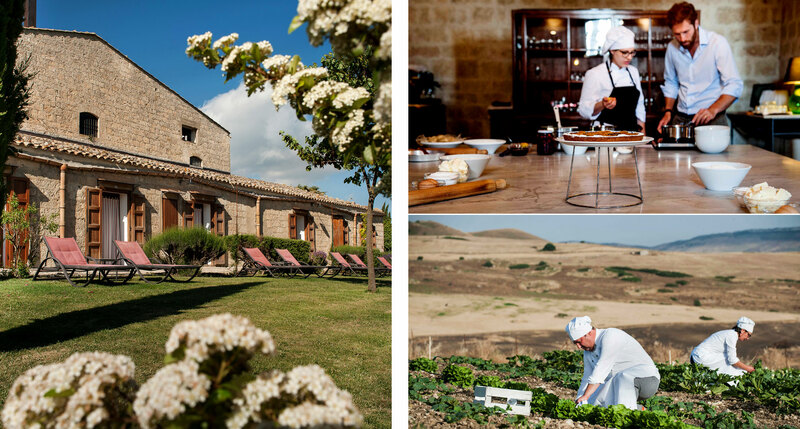 Inland Sicily deserves more attention, if you ask us, when five-generation concerns like Masseria Susafa enter the picture. 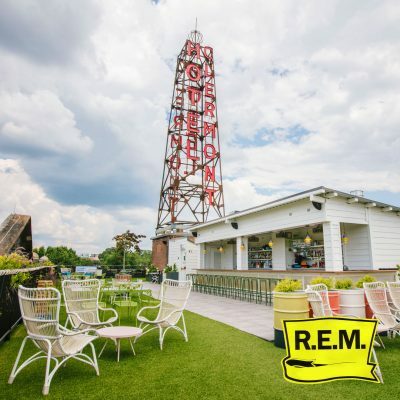 All this time later, it’s still a working farm, with an erstwhile granary and winery transformed into faultlessly cozy platforms for the gastronome and oenophile. For those looking to dive deeper into their dinner, cooking classes allow guests to re-create with their own hands the region’s ancient flavors. It’s hybrid homesteads like this that point the way forward for agritourism as a whole. 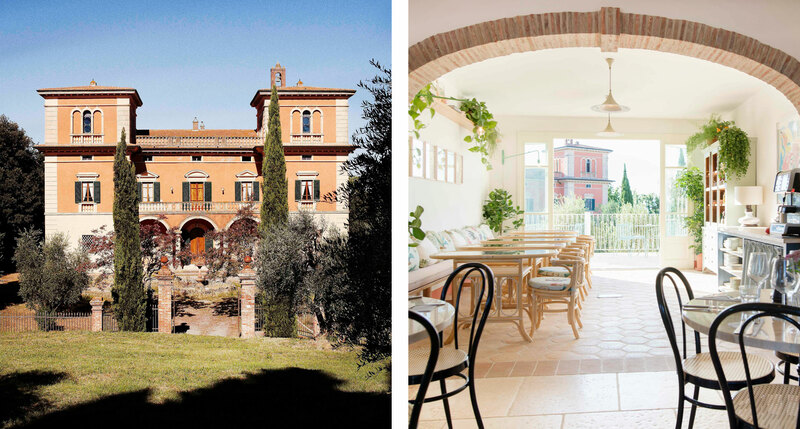 Villa Lena isn’t just a beautifully preserved villa, serving fine wine and fine food — it’s also a full-on agriturismo, where you can join adorable dogs as they forage for white truffles, or join the agricultural team for a tour of the kitchen garden, olive groves and vineyards. Smartly, their international chef-in-residence program enables visiting chefs to curate a season, allowing diners to taste constantly evolving interpretations of the estate’s ingredients. Given its famous and fertile location, it should come as no surprise that Castello di Casole takes food and wine very seriously. They have a passion for helping guests learn about the flavors of Tuscany, so a cooking academy with private classes is available (using fruits and vegetables from gardens on the estate, of course) as are expert-guided tours of the vineyard and wine tastings with the sommelier. Dining is no different, featuring homemade pastas, locally sourced meat, and estate-grown extra virgin olive oil. 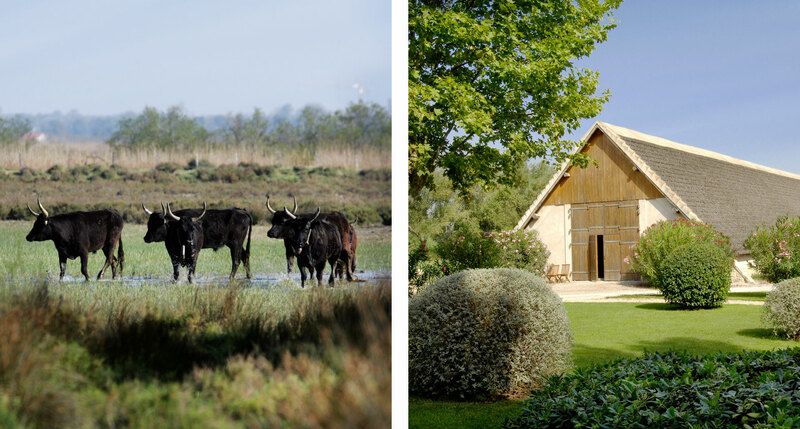 Hôtel Mas de Peint is a charming seventeenth-century farmhouse, still the homestead of Jacques and Lucille Bon, and surrounded by acre after acre of eco-sensitive ranch and farmland in France’s Camargue region. Dinner is served at large round tables right in the middle of the kitchen, a feat that would be impossible in a less intimate hotel, and features all hyper-local ingredients, including bull meat and rice from the hotel farm, fruits and vegetables from their garden, and more. 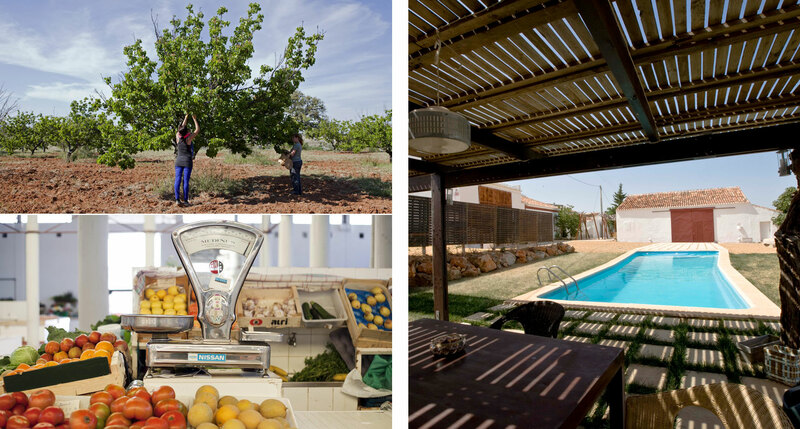 A writer/farmer and his wife have turned a working family farm (still growing olives, quince, oranges, figs, and more) into Companhia das Culturas, a nine-room, four-apartment agritourism escape that is tied intimately to the land. You’ll enjoy all those local ingredients in your meals, and you’ll also have the opportunity to participate in farm activities, helping to clear out the land and collect seasonal fruits and other wild edible plants. The name, while extravagant, is no joke, and it describes the experience here exactly. 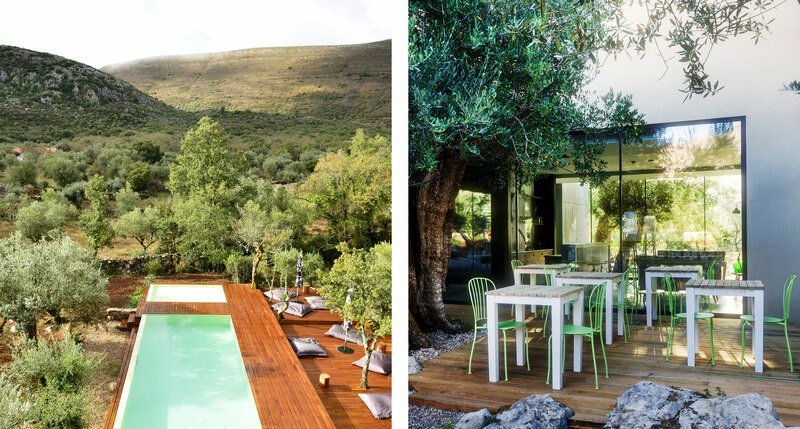 Take the cooking lessons, for example: surrounded by a gorgeous landscape, and under the guidance of a modern Portuguese chef, you’ll sample local cheese and olive oil before wading through the garden, wine glass in hand, to source ingredients for your dinner menu. Or, if you’d rather let someone else do the work, kick back with a cocktail and take in the scenery while the bread bakes. This is a place to let your imagination run wild. “Authenticity, Respect, Culture, Tradition and Heritage.” Those are the five words Son Brull uses to describe their brand of ecological agriculture. 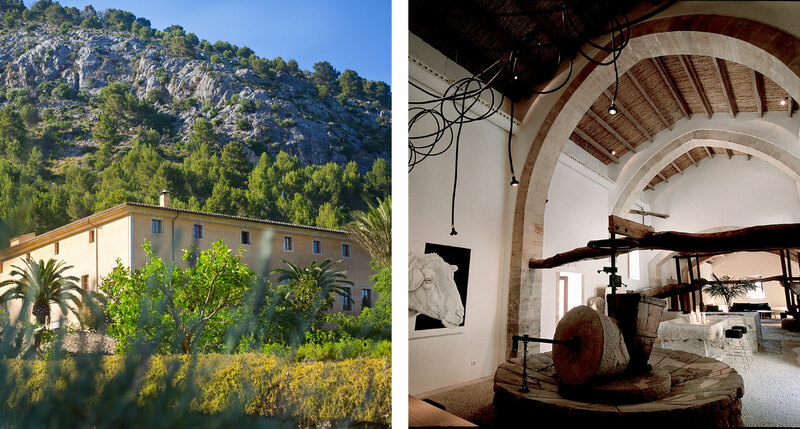 This former 18th-century Jesuit monastery, tucked amongst groves of olive, almond, lemon, orange, and fig, has been given new life as a rural boutique, farm, and vineyard. With a healthy variety of organic produce grown on site, not least a satisfying house wine, the restaurant dazzles on the fine-dining front (and the chef offers classes to take you behind the scenes of it all). Situated right at the heart of the New Forest, Lime Wood avails itself of two gastronomic heavyweights in Angela Hartnett and Luke Holder. The two of them have diligently built up a hyper-local culinary empire on site: they grow their own Mediterranean produce in their Victorian greenhouse, cure and mature proteins in their smokehouse, and impart all sorts of culinary techniques via a variety of regularly scheduled cooking classes and exhibitions. 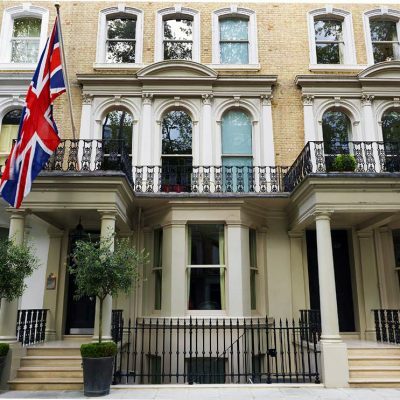 Across the pond, the beginnings might be slightly less humble, but the product is no less satisfying. 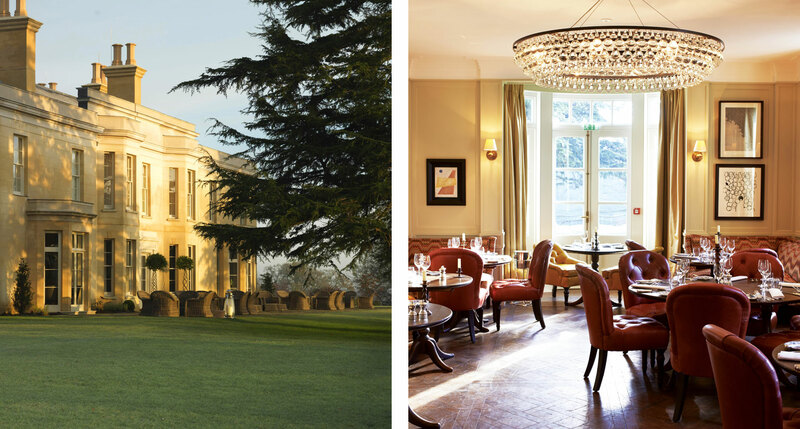 The farm hotels of the Americas don’t typically have the deep generational history of their ancestors in Europe, many having been purpose-built from the outset to host fortunate guests, but they offer a time-tested and refined vision that speaks clearly to the modern traveler, often providing various adventure activities in addition to their main emphasis on food. What isn’t Le Germain Charlevoix? With a complex encompassing a 145-room hotel, a lakeside firepit, a staging ground for mountain sports with its own train station, roaming livestock, and a productive farm with an attached market, it feels more or less like the ideal Québécois village — and that’s exactly the goal. Even the decor is inspired by the local countryside, and each building, though new, sits right where original farm foundations lay. Spectacular views, as well; you can’t exactly grow those. A whimsical assortment of animals and plants makes for a highly memorable stay at this experimental Southwestern ranch. We’re talking — in addition to your standard complement of farmyard ungulates — peacocks, lavender, willows, lotus flowers, heirloom roses, and turkeys, among others. 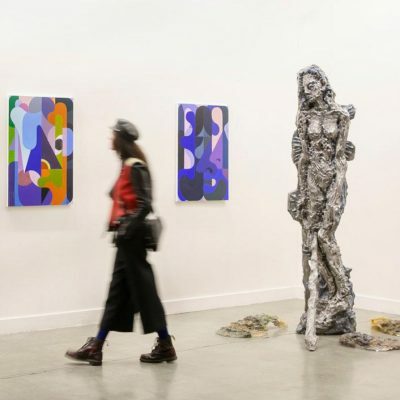 Small wonder it’s become the region’s go-to for the influencer and Instagram set. The restaurant, Campo, is one of Albuquerque’s best and features Rio Grande Valley Cuisine rooted in seasonal organic ingredients from the hotel farm. Along with being well-named, Blackberry Farm is a well-oiled machine when it comes to gathering the requisite ingredients for a full-on foodie experience: teams of gardeners, foragers, brewers, preservationists, and livestock handlers partner with local farmers to generate the decadent final products found in their haute-comfort menus. What’s more, they’re thrilled to walk you through their meticulous process. There’s truly no way to better consume the unpretentious cuisine of the Tennessee Smoky Mountain foothills. 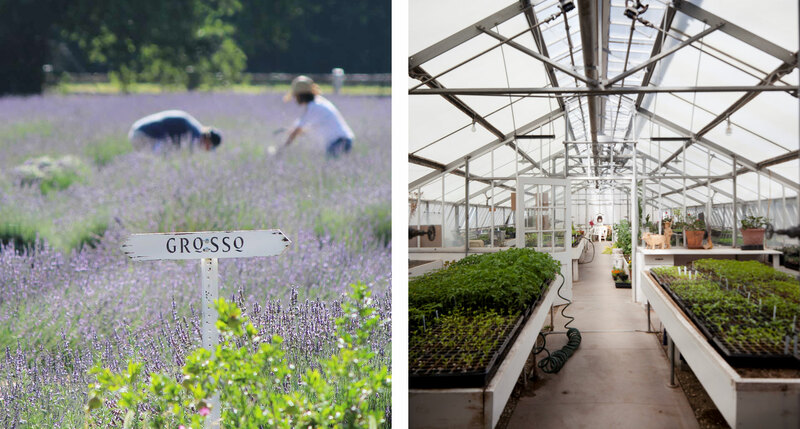 While the South Fork of Long Island has historically drawn the bigger crowds, the green-thumbed artistry found in the farms of the North Fork is closing the gap a little bit every year. 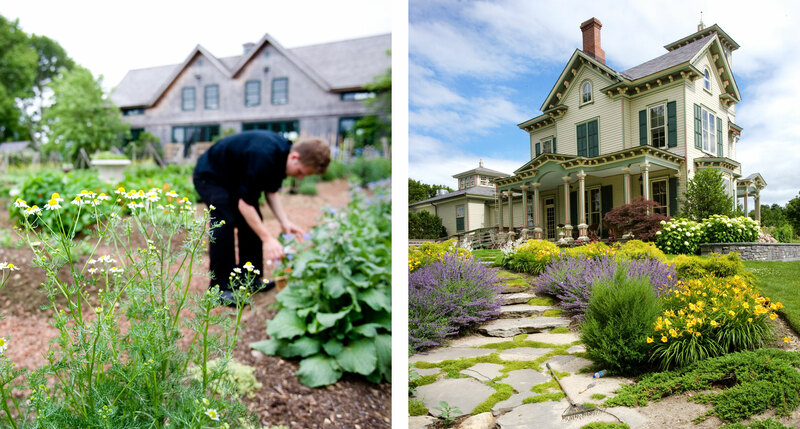 Jedediah Hawkins does more than its part with 22 acres of garden and farmland and a close proximity to the legendary vineyard patchwork that’s made this part of the island famous. And we hardly need mention the quality of the seafood. It all comes together beautifully in the hotel’s highly regarded restaurant. 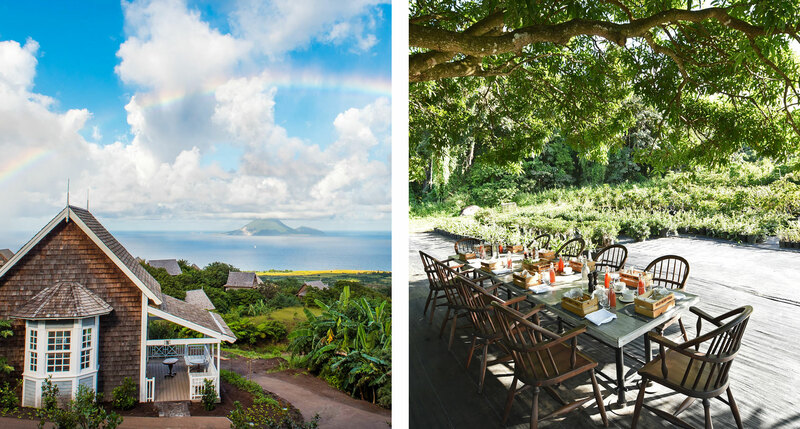 Plain old tourism in St. Kitts is hardly suffering, but the agritourist in particular should set sights directly on this organic farm (once a sugar plantation) on its northwestern slopes. The proprietors take full advantage of the tropical location, ornamenting what’s essentially French cuisine with sustainable citrus elements grown right here. It gets better: they deliver fresh fruits and vegetables to each guesthouse on a daily basis — though we doubt you’ll do as much with them as the gifted bartenders do. 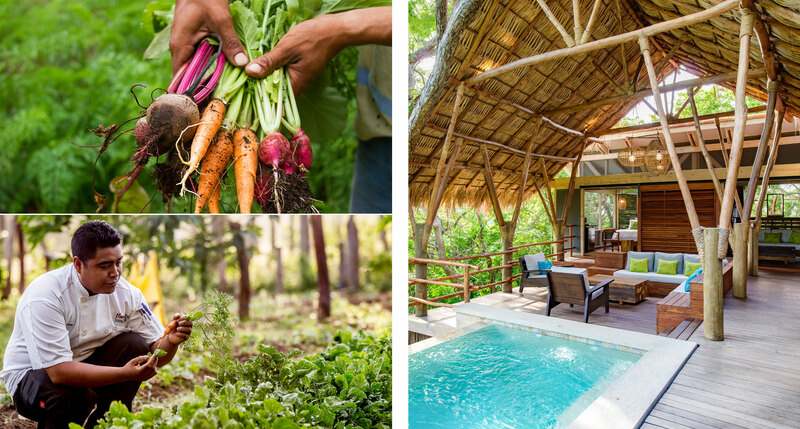 What does it even mean to be an ecolodge in this day and age? Morgan’s Rock is the answer. It occupies 4,000 acres of jungle alongside a beautiful crescent-shaped beach, and fully half the land is a private reserve — which means not only do sea turtles nest and hatch here, but the woods are full of howler monkeys, white-tipped deer, and sloths. A large working farm adds cows and chickens, plus fruit and vegetable gardens, and even a sustainable shrimp farm. Guests are more than welcome to help out by collecting eggs or milking cows. 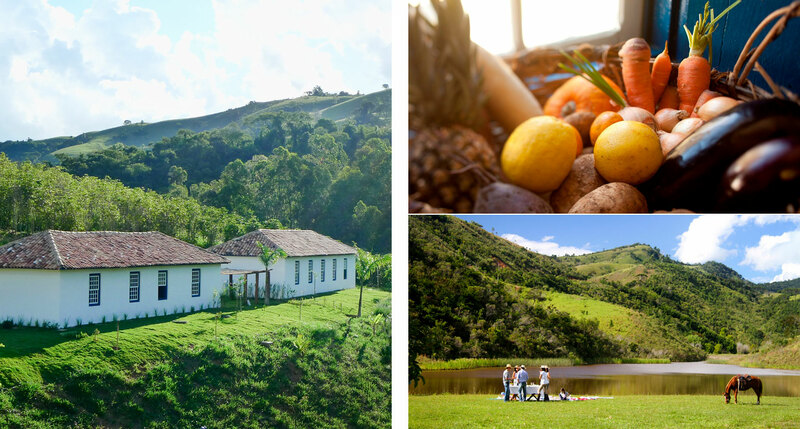 The “fazenda” in Fazenda Catuçaba means farm, and the farm is certainly the star of the show. Coffee, cachaça, vegetables, meats, and cheeses are all produced on the land organically and are present in all the meals you’ll eat here. 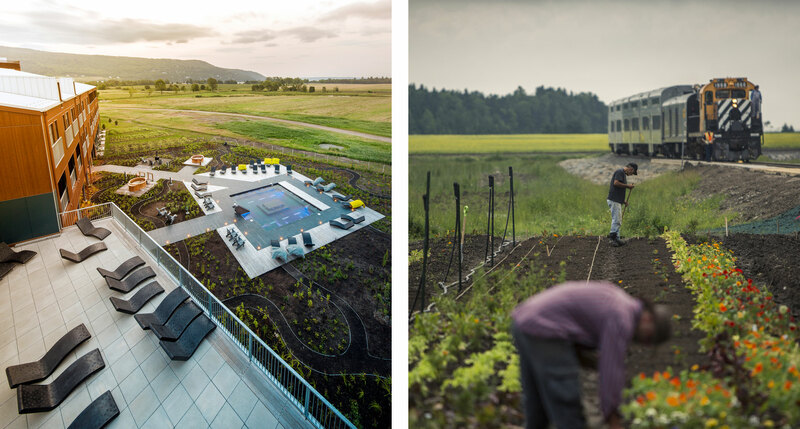 The hotel, on a thousand-acre estate in a coastal mountain range, is a unique place, thanks to a mission to cater not only to its guests, but to its staff, the land on which it sits, and the community with which it coexists. 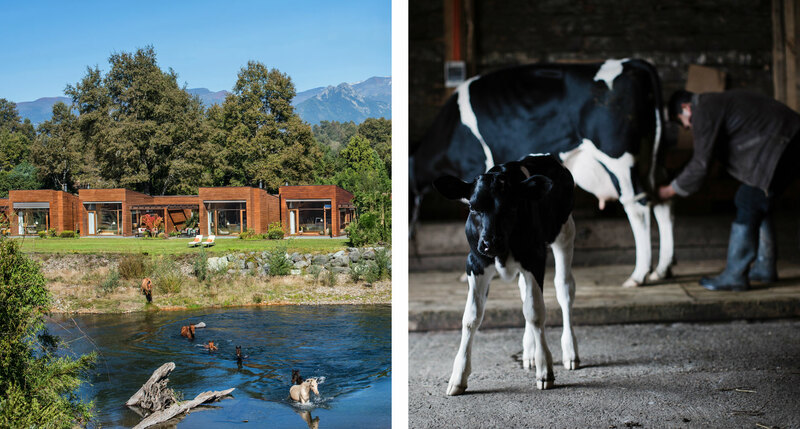 After vacationing in the unspeakably gorgeous Pucón lake region for years, the Swiss financier Michael Paravicini decided to open the kind of hotel he personally wished to stay in — one that offers all manner of adventure activity, but also a fully fledged farm. As a guest, you’re invited to go behind the scenes of your all-inclusive gourmet meals, to explore how crops are harvested and animals bred, or to make your own butters, cheeses, and yogurts. Of course, there are so many more throughout the world that we didn’t mention (we aren’t kidding when we say that the farm hotel concept is growing rapidly). If there is one you’d like to give some attention to, please let us know down in the comments. And, if your readers are ever in the San Francisco Bay Area … StrausHomeRanch.com. Quick note to editor or proofreader- New Mexico misspelled on the button above. One of the Best “agra’s” in Italy [and one of the earliest] is Tenuta di Fassia in Gubbio. Nearby to an almost untouched by tourism Etruscan hillside village. One will not be bumping into English as in Toscano region. Fassia has 4 or 5 farmhouses and apartments to choose from across its rolling farmland. Ask for ‘Seba’ to recommend the best accommodations for you. Been there many times across all seasons. Our favorite was always Natale where the entire hillside above the village is lit as if it was a christmas tree. Beautiful. Thank you, Lynda. We’ve updated the tag.